2019 debuts From 14 to 17 January, we are introducing our latest debuts to the general public at the Geneva Salon (SIHH). 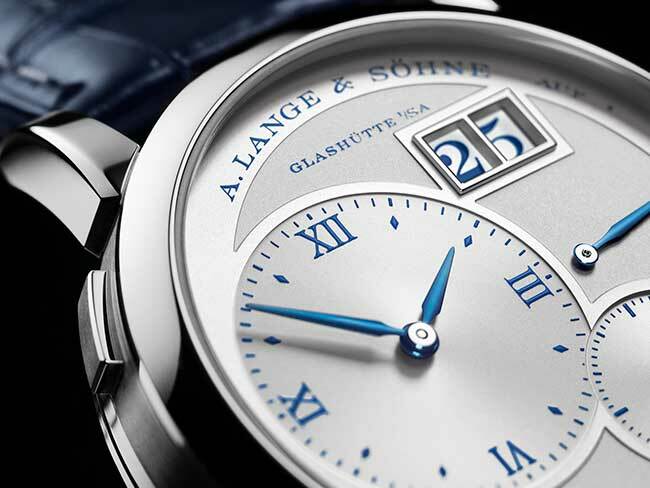 This year, we are paying tribute to the timepiece that 25 years ago, at the residential palace in Dresden, marked one of the most pivotal moments in the recent history of A. Lange & Söhne and became an icon within just a few years: the LANGE 1. The “25th Anniversary” edition in white gold, limited to 250 watches, is the start of a collection with ten models dedicated to the most important milestones of the LANGE 1 watch family; they will be gradually presented one by one in the course of the year. The hallmarks that all models of the edition share are an argenté-coloured dial in solid silver with printed deep-blue numerals and hour markers, blue date numerals, and a colour-coordinated blue alligator leather strap with a grey seam. The engraved hinged cuvette in solid white gold is a further characteristic feature. Another turning point in the history of A. Lange & Söhne – the ZEITWERK watch family – celebrates an anniversary this year as well. Ten years after the first model, we are presenting the ZEITWERK DATE, the first sibling in the ZEITWERK family with a date function. In this particular instance, our developers were confronted with a special challenge: the aesthetic integration of the date in the prominent design featuring jumping numerals. A date display ring harmoniously echoes the unusual concept, delivering good, intuitive legibility. In addition to the precisely jumping digital display, the newly conceived movement – a role model of micromechanical perfection – also handles the date change with high accuracy. A special complication, graced with a pink-gold dial in a white-gold case, stands out as well in the DATOGRAPH PERPETUAL TOURBILLON launched in 2016. 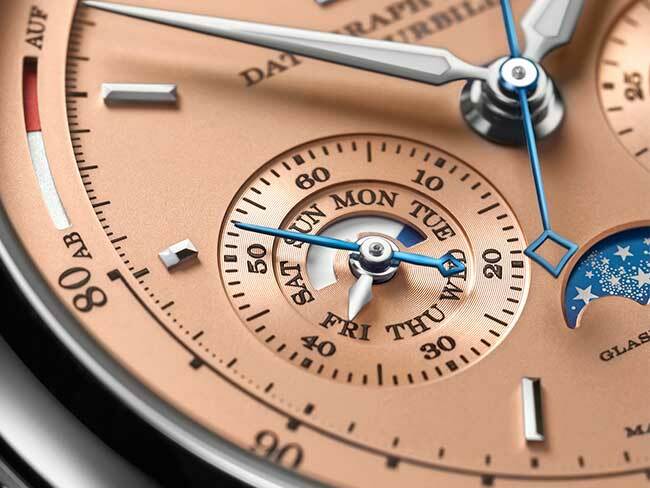 Unexpectedly, given its compact dimensions, this unique multi-complication watch features a flyback chronograph, a perpetual calendar with moon phases, a tourbillon with stop seconds, and a power-reserve indicator. Subsequent to a first edition of the DATOGRAPH PERPETUAL TOURBILLON limited to 100 watches in platinum with a black dial, a second edition in white gold featuring a solid pink-gold dial also limited to 100 pieces is now presented. In 2019, the LANGEMATIK PERPETUAL is presented in a new model version limited to 100 timepieces: the LANGEMATIK PERPETUAL HONEYGOLD. The case, crown, hands, appliques, lunar disc and buckle are crafted from honey gold. 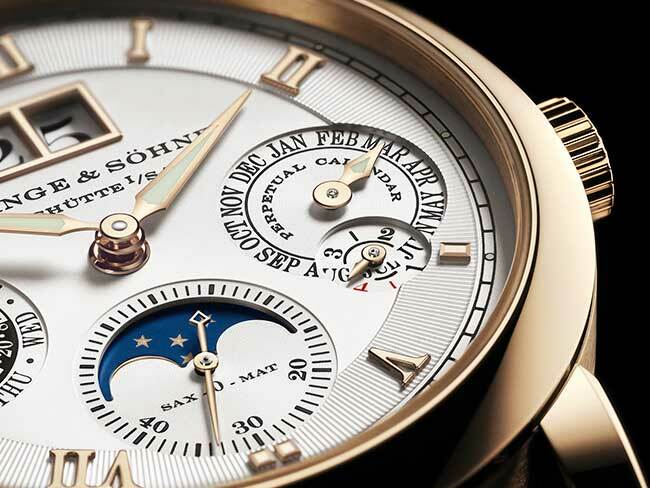 Patented and used exclusively by A. Lange & Söhne, the gold alloy has been reserved for merely a few of the manufactoryʼs select models since 2010. It not only has a unique warm hue but is also exceptionally hard and robust. 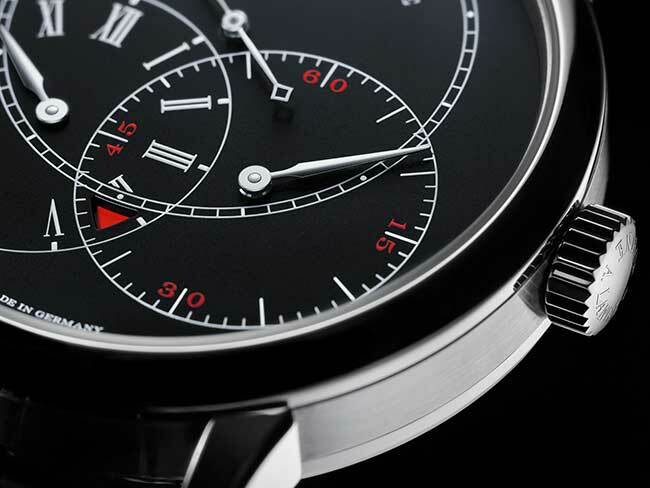 The model version in white gold with a black dial launched in 2019 adds new prominence to the distinctive regulator design, further emphasised by red accents. Since 1990, Lange has been creating mechanical works of art that have found permanent places in notable collections and in our memories. In 1868, gifted watch designer Richard Lange and skilled businessman Emil Lange became co-owners of their father’s company.